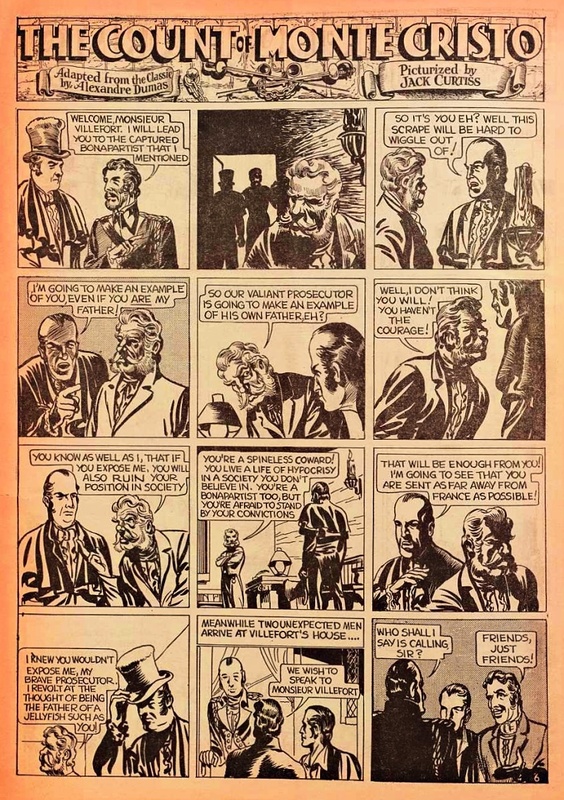 Back in 1938, Jacob Kurtzburg (who had yet to assume the name Jack Kirby) worked for the Eisner and Iger studio, and drew the first eight weeks of this comic feature for the British publication Wags. Near as I can discover, Wags was a tabloid, and one page appeared each week in March, April and May of that year. 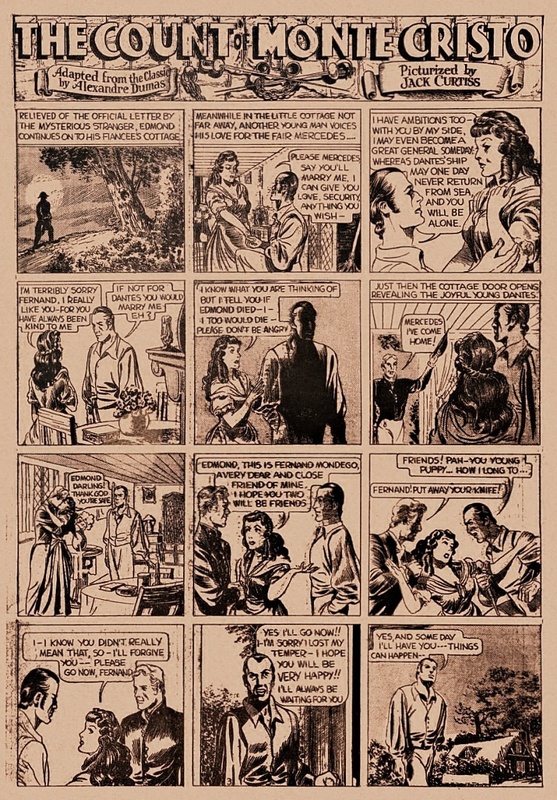 Eisner & co. then sold the strip to Fiction House for Jumbo Comics, where it appeared in issues 1 and 2, Sept. and Oct. 1938. 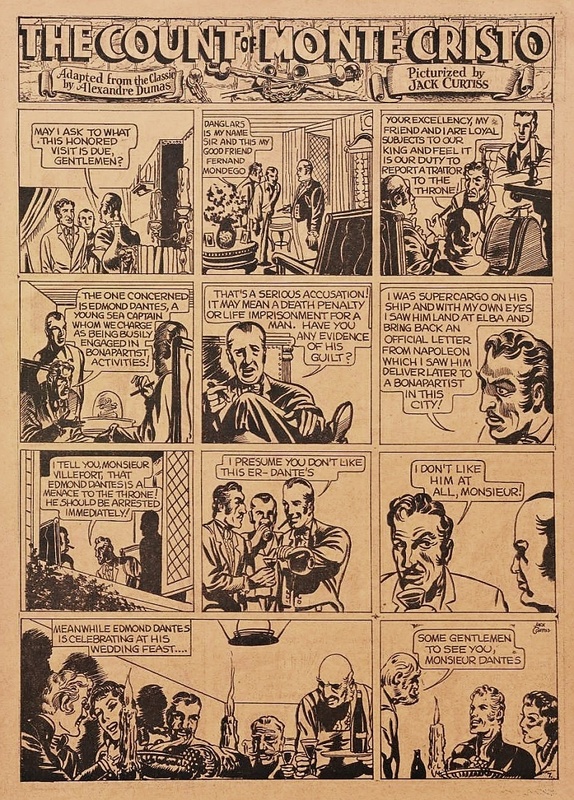 That's where I found these, on comicbookplus.com. 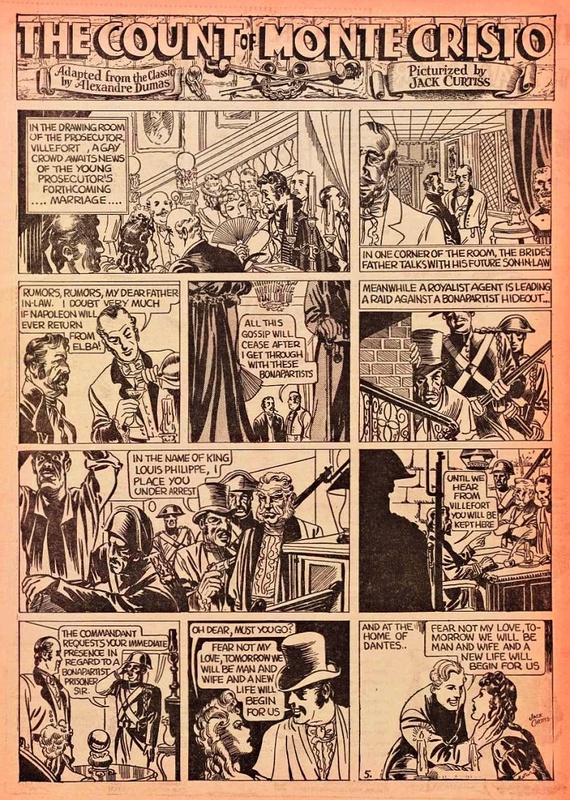 Those first issues of Jumbo, by the by, also contained work by Eisner and a dude named Bob Kane. 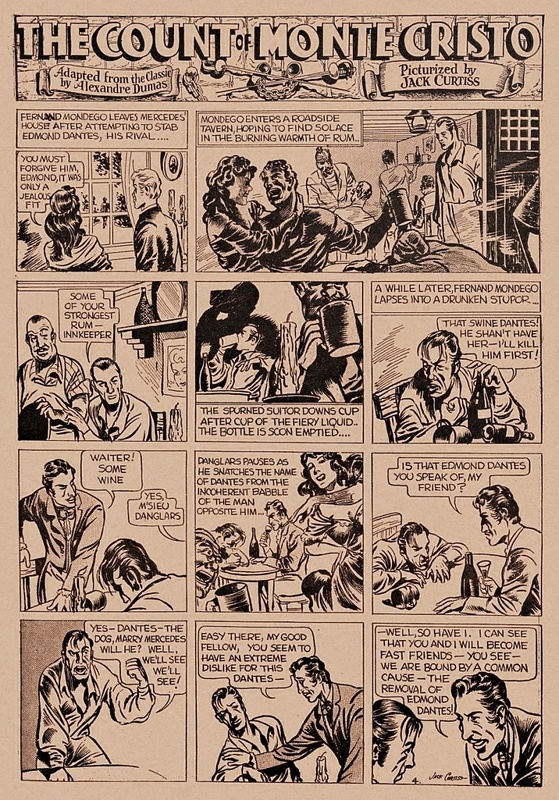 Though Kirby had done a little miscellaneous comic strip work earlier, Jumbo #1 is considered his first appearance in a comic book. 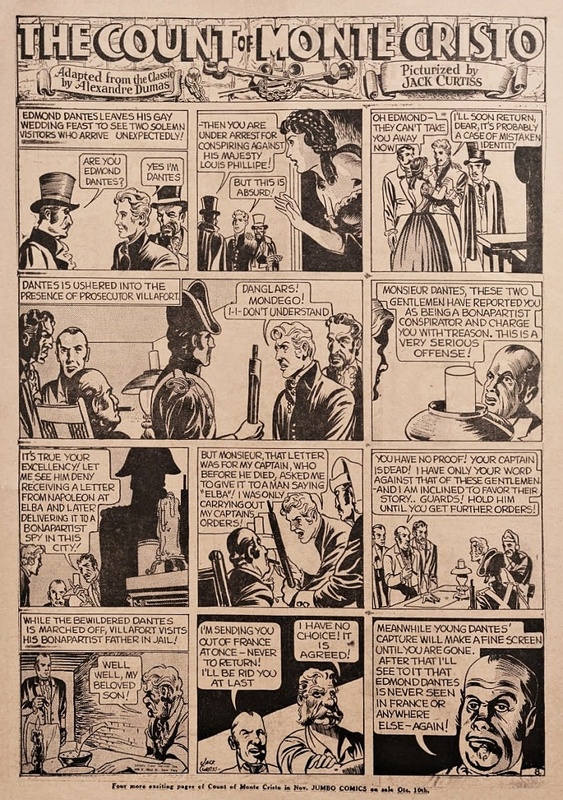 That same issue featured two other strips attributed to him under different names, with slightly different styles. One was a mystery and the other a western. You'll likely see those here as the Almanack rambles on. 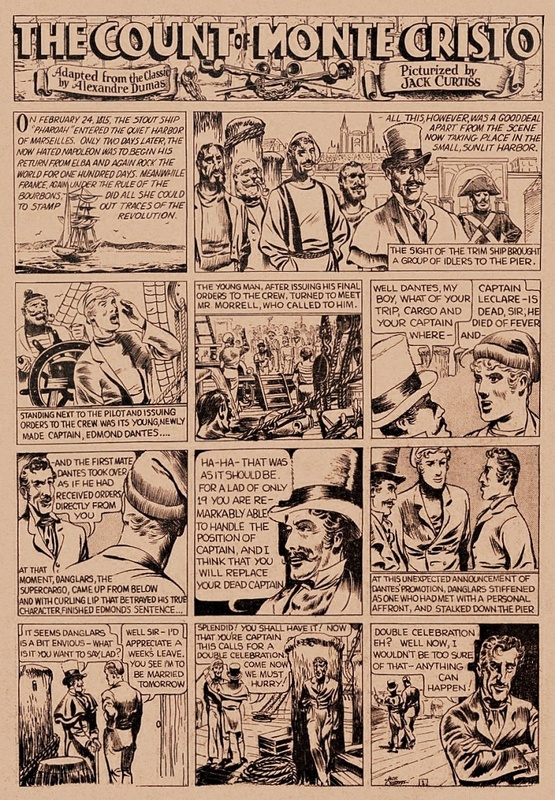 After the first eight weeks, Monte Cristo fell into the hands of Lou Fine, who also did a swell job. You'll see some of that here, too, if I live long enough. Not bad at all, but when will we get the rest????? Those who can't wait can read the whole shebang right now on Comic Book Plus. It continues in Jumbo #3 and runs through #17. A couple of issues are reproduced from microfiche - and are extremely unlovely - but at least they're readable. 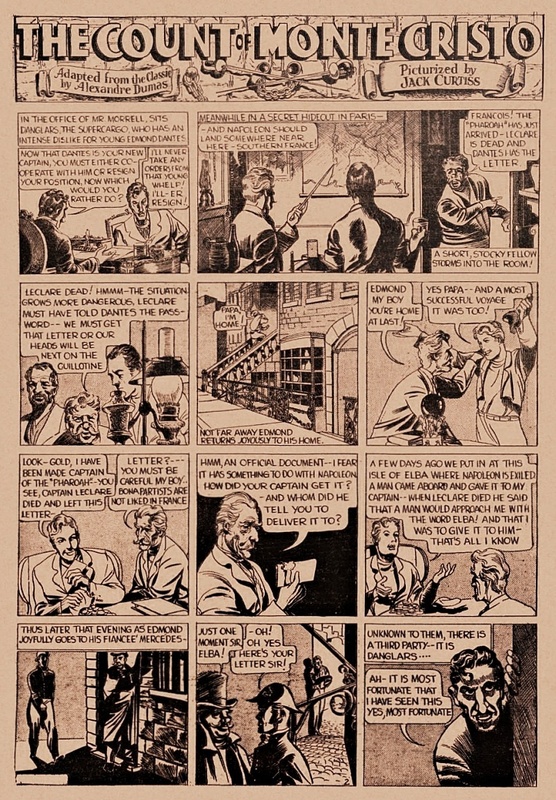 The strip appears in color beginning with #9.